Who says Canadians aren’t beautiful? Nestled amongst large rocky mountains (hills to some) in Baie-Saint-Paul lies Laiterie Charlevoix, a cheese factory owned by the 7 Labbé brothers. One of their most popular cheeses is Le 1608, a washed rind cheese that was launched in 2008 to coincide with Quebec City’s 400th anniversary. This cheese is aged 4-6months, has a pleasant pungency and is one of only two cheeses that I know that is made solely from the milk of the Vache Canadienne, a rare breed of cow (Pied-de-Vent is the other). The ancestors of this breed were introduced to Canada from Brittany and Normandy in the early 17th century by Samuel de Champlain. I met with Mario Duchesne, a biologist and leading expert on the Vache Canadienne, who explained that the cows originally weren’t a distinct breed but a population with a variety of genetic traits. 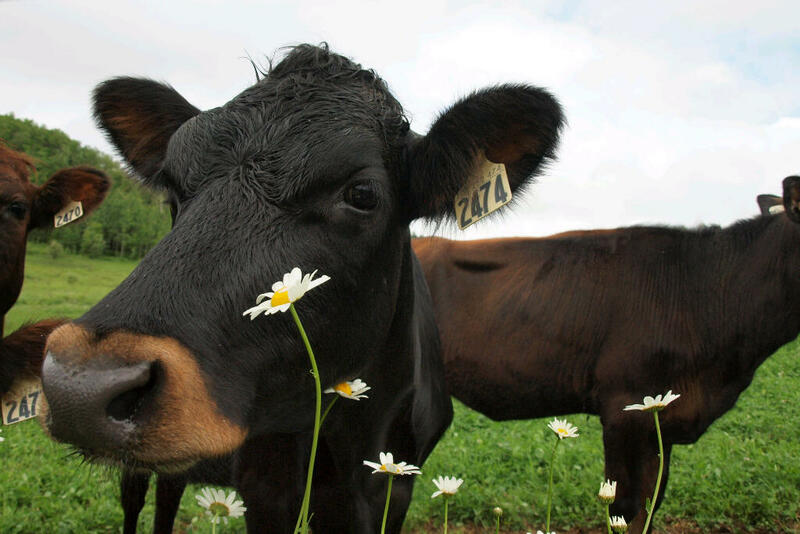 At their peak there were 300,000 Vache Canadienne but now only around 1000 are left in the world. Mario, the farmers, and Laiterie Charlevoix are fighting to protect this rare breed and ensure they don’t disappear forever. Besides delicious cheese, and a rare breed of cow, one of the most interesting parts of Laiterie Charlevoix is their wastewater treatment system. I know that’s generally not something to get excited about but things are different here. The Labbé family actually created an environmentally friendly system for disposing of their whey and wash water. Basically, bacteria cultures are added to the wastewater to ferment it. Methane gas is produced then collected and burned to heat water for cleaning, heat-treating the milk and warming the cheese vats. 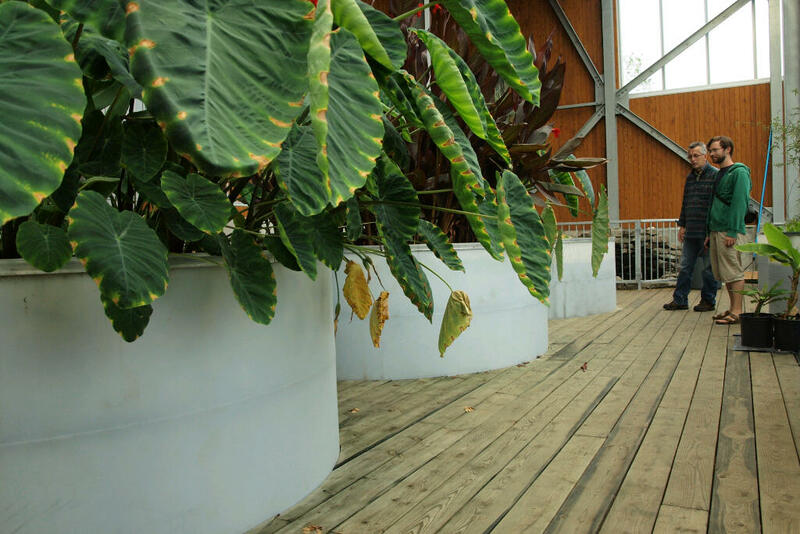 The remaining grey water is then cycled through a series of ‘ponds’ with plants such as canna, papyrus and elephant ears which act as filters removing Nitrogen and Phosphorus. At the end of this system, the clean water flows into a pond with koi fish to demonstrate its cleanliness and then into the nearby river. 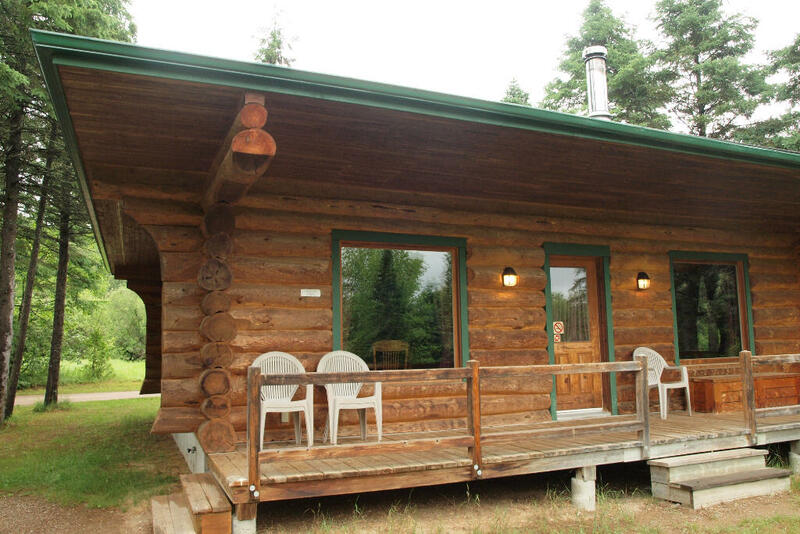 Cabins on the Laiterie Charlevoix campground–walking distance to fresh Pain au Chocolat. Now that’s roughing it. The Labbé family also produces a line of ice cream and preserves, has a dairy museum and runs a campground near the dairy. 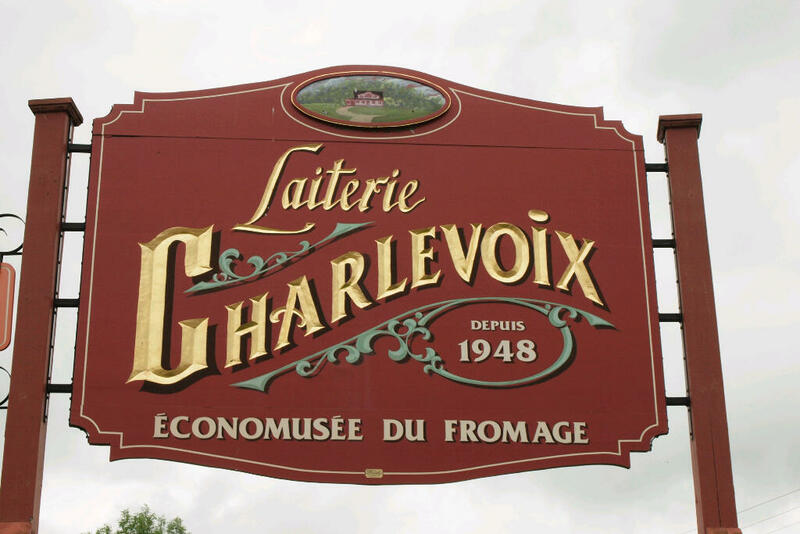 It’s easy for travelers and curd nerds alike to spend several hours at Laiterie Charlevoix. It’s definitely worth a visit! This post is part of a guest blog series by Kelsie Parsons. For Eps 1, click here and Eps 2, Click Here. Sue’s Note: I visited the Charlevoix region last year and other than beautiful scenery there is a whole Flavour Trail of delicious aritisanal foods to try; from the local cheese to traditionally made foie gras to the famous local lamb chops, sausages and smoked salmon. Here is the Charlevoix travel piece I wrote about the adventure. We love the pungency of the Le 1608 cheese and so do our great customers out west in Calgary. 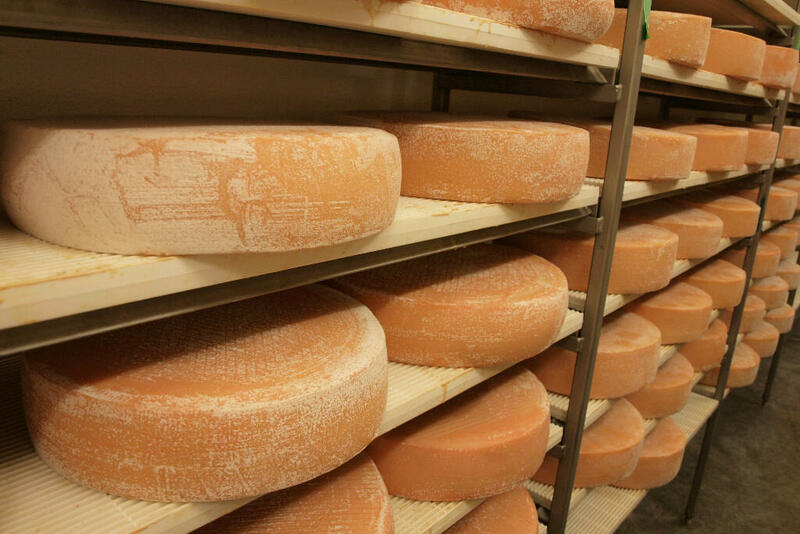 We enjoyed your story about Canada’s Heritage cows contributing their fabuluos milk for this distinct cheese and the innovative methods used to dispose of the whey and wash water from their cheese making process.